Fresh plaster on a finished loft conversion prior to decorating. 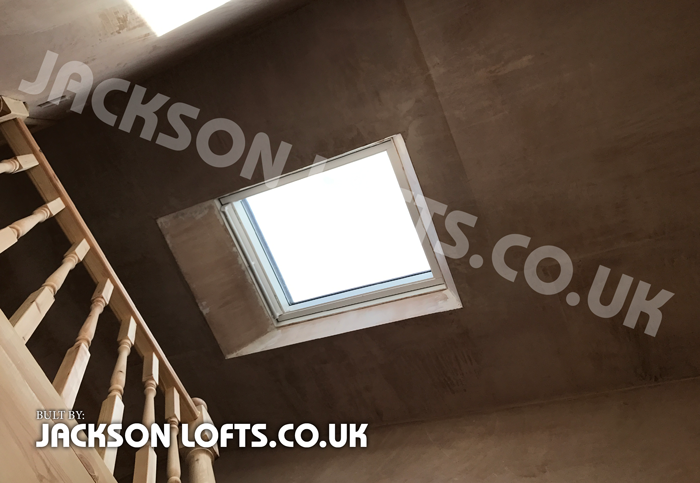 View looking up to the roof window above the staircase in Peacehaven 1950s bungalow staircase leading to the new first floor, a loft conversion. A recommended addition says Richard. Velux windows can be installed in many configurations. 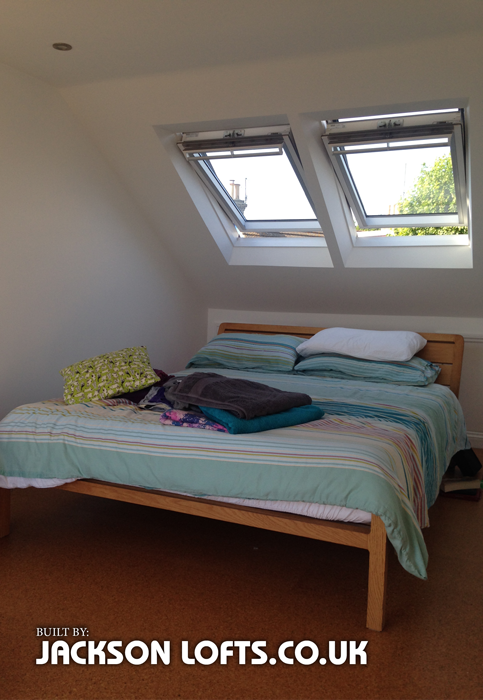 For a free loft conversion estimate please email Richard on the contact form to arrange a suitable time to visit.